Increasing globalization of food trade heightens the risk of contaminated food spreading quickly around the globe. Through the International Food Safety Authorities Network (INFOSAN), WHO assists Member States in managing food safety risks, ensuring rapid sharing of information during food safety emergencies to stop the spread of contaminated food from one country to another. INFOSAN also facilitates the exchange of experiences and tested solutions to protect the health of consumers. At a side session held during CAC41, FAO and WHO recalled the global recognition of the need for an international network like INFOSAN, which has been facilitating rapid information exchange in food safety emergency situations since 2004.
WHO experts explained the link between Codex and INFOSAN, originating in the 2004 revision of the Principles and guidelines for the exchange information in food safety emergency situations. This required the establishment of national contact points, and triggered the creation of INFOSAN in the same year. WHO reported on an outbreak of listeriosis in early 2017 in South Africa. This serious foodborne disease mostly affected newborns, pregnant women, the elderly and immunocompromised persons. The outbreak originated from Listeria monocytogenesa, found in a widely consumed ready-to-eat processed meat product. Following the source identification, national authorities in South Africa have taken measures to limit further infections and associated mortality, including the issuance of safety recall notices, compliance notices and measures related to exportation of implicated products and risk communication with vulnerable groups. INFOSAN played an important role in allowing 15 countries to take appropriate action, averting further spread. WHO also reported on an outbreak of salmonellosis infections among infants, identified in France in December 2017. French authorities were able to link cases to the consumption of certain infant formula products, produced by a single manufacturer in France and contaminated with Salmonella Agona. Recalls of the implicated infant formula products and all other products produced by this manufacturer since February 2017 were subsequently issued by French authorities. Many of the recalled products were exported to over 80 countries and territories. Also in this case, the INFOSAN Emergency Contact Point in France rapidly shared the distribution details of the affected products with the INFOSAN Secretariat. Panellists explained the links to other similar networks at the regional level, which are plugged in to INFOSAN. They called upon participants to contact their national INFOSAN members, to actively participate in their national emergency network, especially during emergencies, and link up relevant initiatives with the network. 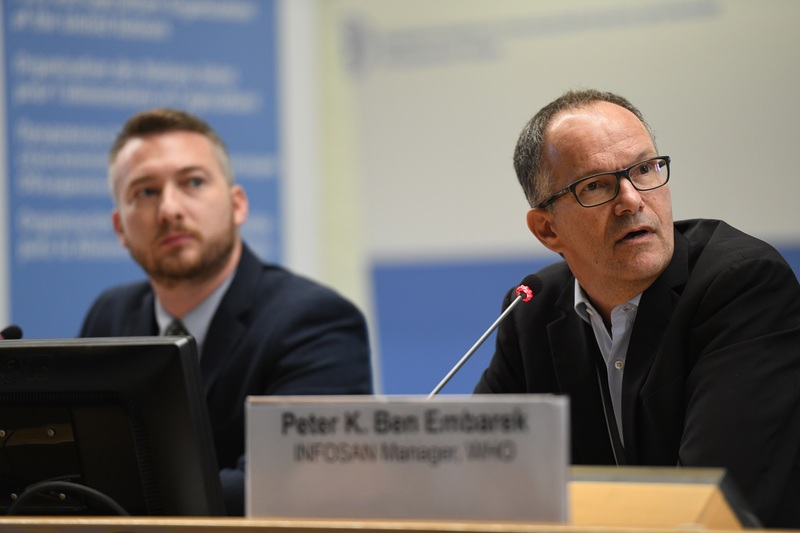 In conclusion, INFOSAN is instrumental in responding to large-scale food safety emergencies, while Codex texts continue to serve as vital reference points in protecting public health. See the Codex ‘’Principles and guidelines for the exchange information in food safety emergency situations” here.